After a decade of development with the Cowichan Intercultural Society, Inclusive Leadership has become a not-for-profit community service co-operative. Click here to learn about resources, Inclusive Leadership in action and upcoming Inclusive Leadership educational events. For information about the legacy programs that have built on the foundations of Inclusive Leadership that are part of the Intercultural Society, please see the Compassionate Leaders Program and Multicultural Leadership Group. In 2012, Inclusive Leadership was presented with a Champion for Children Award of Excellence by Cowichan Success by 6! Destination Unity Youth Dialogue funded by EmbraceBC, 80 youth and mentors from around Vancouver Island had dialogue through cooperative interaction, creative arts, outdoor challenges, interactive workshops, a community celebration, action planning and other ways of promoting multiculturalism and eliminating racism and hate crimes. Sacred Circle Leadership Camps in partnership with Cowichan Tribes Youth Centre, Hiiye’yu Lelum (House of Friendship) Society and Surrounded by Cedars was an inclusive and welcoming opportunity to build community based on respect for our diverse cultures, go canoeing and hiking, learn Khowutzun language and culture, make a drum, practice caring for self and others, participate in talking circles, learn from Elders and learn from each other. A BC Gaming Community Grant supported a team of youth and mentors connected with CIS to participate in this summer project that built bridges between cultures and generations. Ten Years of Inclusive Leadership Weekend. 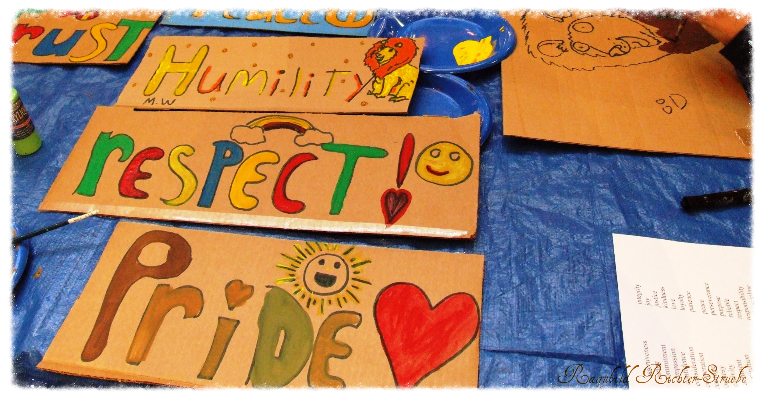 Approximately 130 youth and adults explored, shared and celebrated 10 years of Inclusive Leadership at Camp Pringle. The event included a full-day compassionate communication workshop on Saturday by internationally-reknowned and certified NVC trainer, Raj Gill; a dinner and inclusive community celebration on Saturday evening, and lots of opportunities to connect, reconnect and enjoy the lake.